Did you know that according to the National Federation of Independent Business, 46 percent of business owners banking with small financial institutions are finding it more difficult to obtain credit than last year? In addition, many business borrowers are being turned down based on their credit scores. Navigating the financial world only gets easier with better credit and it isn’t as hard as you think to boost your score. Check out these five easy tips for improving your business’s credit score.. Unlike personal credit scores, business scores are not necessarily streamlined. NerdWallet explains that several credit bureaus will collect data on your business, each using different calculations and reporting different types of data. While you may stick to checking a certain credit bureau, your creditors may check another. Maintain all your profiles to cover your bases. If you can make payments on-time over a long period of time, it will benefit your overall score. Better yet, make your payments early and strive for a perfect or near-perfect score. According to credit bureau Dun & Bradstreet, if you’re the owner of an emerging or small business, your company may not have a strong credit profile yet. This means that prospective creditors may review your consumer credit profile as a supplemental evaluation method. While they won’t completely rely on your personal ratings, your score can still impact your company’s creditworthiness. Sometimes issues or errors can come up that you aren’t aware of, hurting your score. Keeping an eye on your credit report on a regular basis can help you catch and correct these before damage is done. Perhaps the most simple and self-explanatory tip, paying off debt is important for your credit score. Entrepreneur cites business credit expert Liz Weston saying, “The most powerful thing you can do to improve your credit score is to reduce your credit utilization.” Before you take on new expenses, take care of your debt. 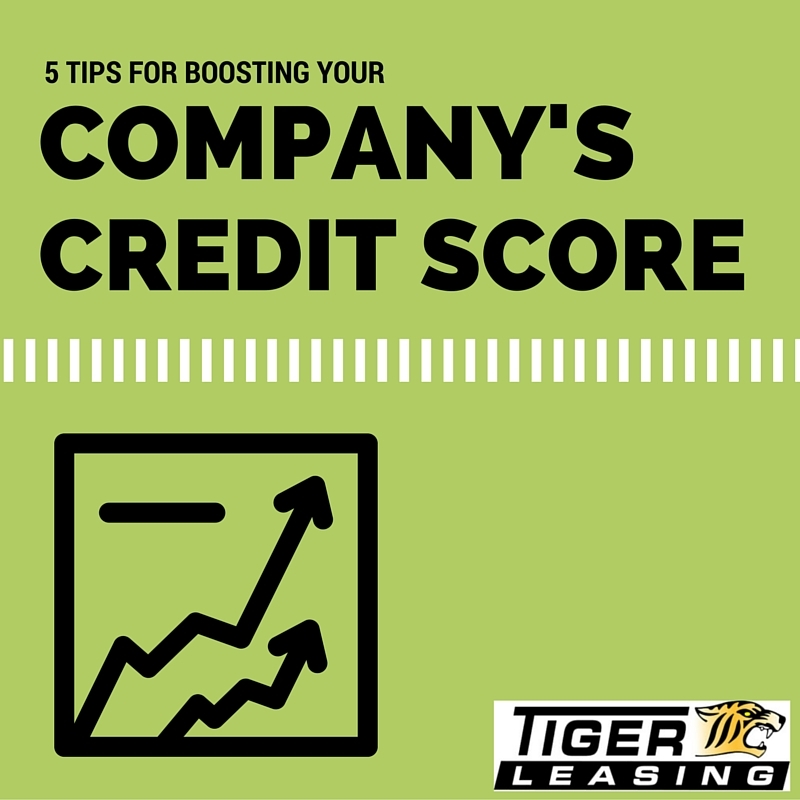 If you’re applying for a lease with Tiger Leasing or any leasing company, your credit score will be a crucial component of your acceptance. 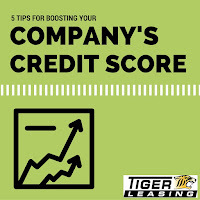 Learn more about credit scores and our quick and easy lease approval process, contact a Tiger Leasing representative today. Making an investment in your commercial fleet vehicle system can be a worthwhile move, even when the upfront costs seem high. According to Automotive Fleet, the 2016 market assessment predicts corporate initiatives to purchase the most fuel-efficient models with plenty of safety features. Will your company be equipped to keep up with competitors? These benefits not only improve your drivers’ experience and satisfaction levels, but also translate into a more quality customer experience. As your fleet performs simple tasks more efficiently, you are able to meet the needs of customers quickly with ease. An upgrade can mean a lot of different things, from a full-scale replacement to simple add-on features. According to BusinessFleet, basic upgrades like sunroofs, sport wheels and an entertainment system can ensure your vehicles have a significantly higher return value. The extra “frills” will also be a benefit to employee drivers, adding value to their day-to-day work experience. Whether your company needs several many new vehicles or a couple added features depends on your specific circumstances. In many cases creative, affordable solutions can be found that require a lower investment than initially predicted. Doing research on your competition, industry, and customer base is the first step towards identifying the best option. What value will my new commercial fleet bring to my business? Can I expect increased profits because of the investment? Should I consider buying up-front, or financing with a lease or loan? As a big investment, it’s important to weigh the pros and cons of financing your new equipment. Choosing a lease can enable you to keep cash flow open for greater flexibility during the payment period. Work Truck Magazine outlines some of the important things fleet managers should consider when signing a lease agreement. 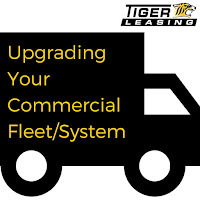 If you’re considering upgrading your commercial fleet system and want to know how Tiger Leasing can help with financing, contact an experienced representative to learn more. 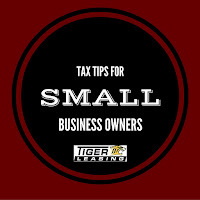 Tax Day 2016 is right around the corner, small business owners are finalizing their 2015 taxes and making notes for the new year. 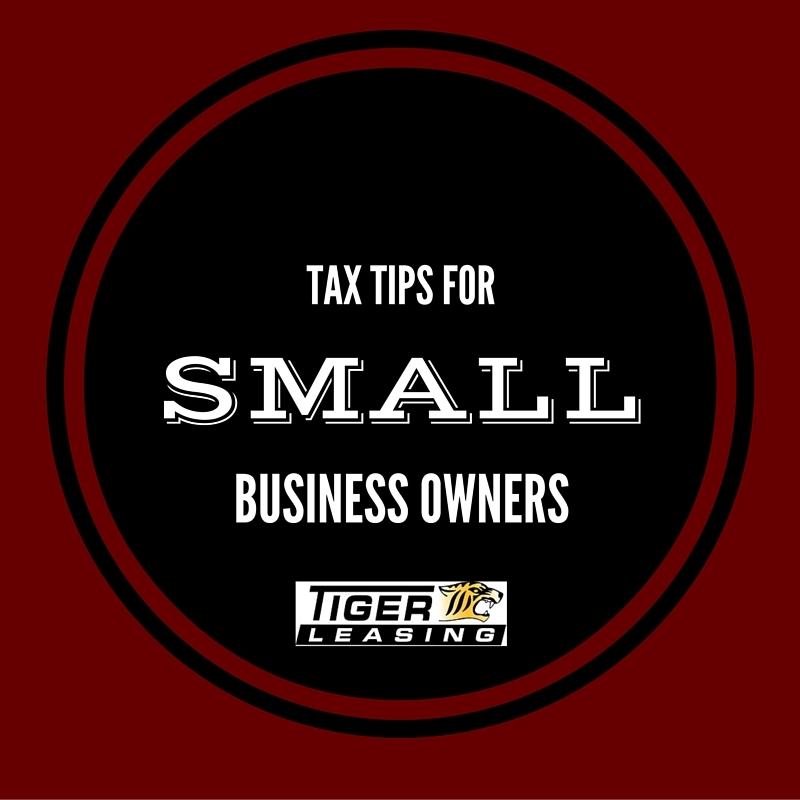 With 2016 underway, and taxes on the brain, the team at Tiger Leasing wanted to provide some tips and insight to help save you time and money in the future! Social security payments can be tough, especially when you’re starting a small business. Federal law requires employers to pay half of employee contributions, resulting in self-employed workers paying out 15.3 percent of net profits in Social Security contributions. To remedy these high expenses, deduct your contributions on your 1040. When it comes to office supplies, equipment and furniture, you may be in luck. Business supplies can be deducted, along with office-furniture acquisitions. Bankrate lists several options for how to deduct your expenses, including 100 percent during your year of purchase or slowly over time. Automobile travel can be a costly business expense, but also offers rewards during tax time. With proper documentation, you can often deduct total mileage, gas, repairs and insurance. Even leased cards are eligible. If your business routinely makes charity contributions throughout the year, there may be a way for you to maximize these donations. Instead of contributing money, donate appreciable stocks. Then if your stock increases in worth, you are able to deduct more than you contributed at tax time. According to TurboTax, one little-known tax tip for small business owners is the healthcare tax credit. Offered on a sliding scale, businesses with fewer than 10 full-time employees that have average annual wages under $25,000 are likely to receive the most benefit. Use form 8941 to calculate your edibility and determine if you can carry the credit forward from previous years. Wondering how an equipment lease can help earn you tax savings? Try our Tax Savings Lease Calculator to see how much you can save! 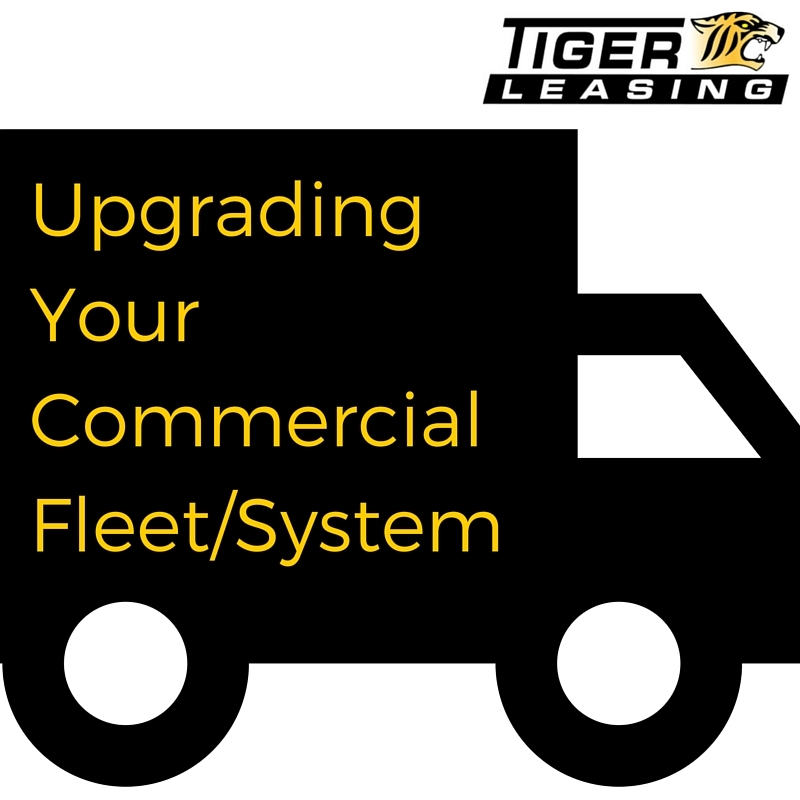 Then, contact a Tiger Leasing representative to discuss the equipment financing solution that's right for your business in 2016 and beyond!